A wonderful way to showcase your glass designs in your home! 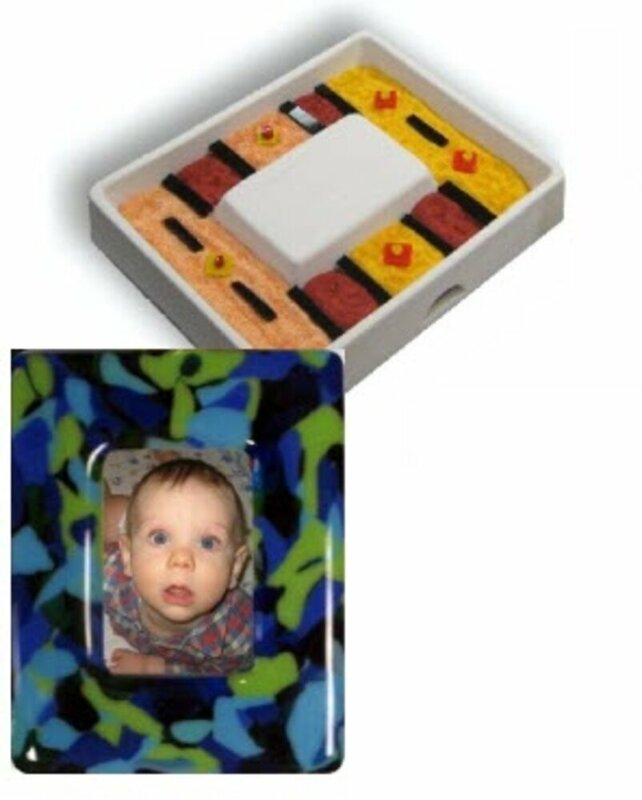 A high quality picture frame casting mold, available in three different sizes to accommodate the three most popularly framed photo sizes. The true beauty is in being able to customize the glass tile to the colors that you want- you can make them to match a photo, or match a room! Because these are made from slip-cast specially formulated clay, they have a very smooth surface and accept kiln wash uniformly. They will also last for many firings, when handled correctly. These make wonderful gifts! 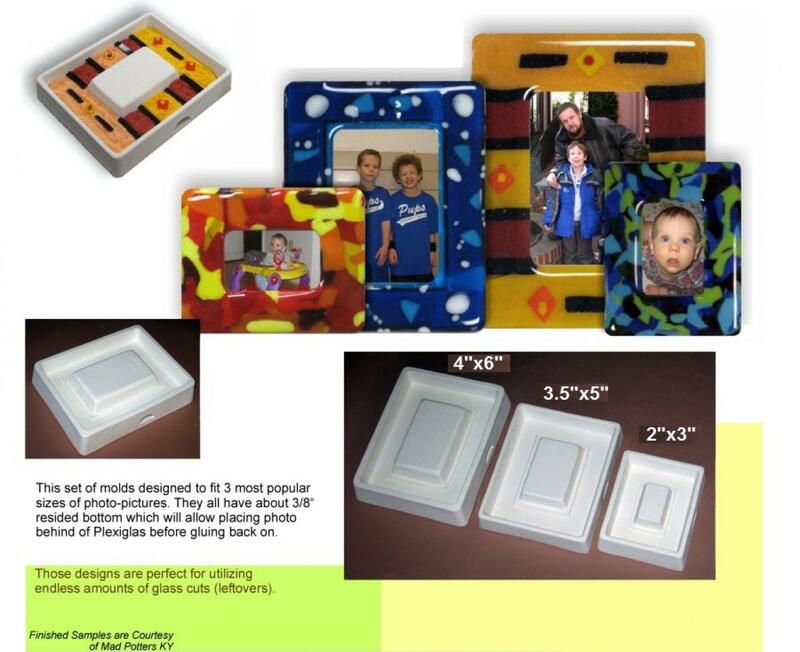 Photo frame molds are a great way to use up scrap bits of glass, too!